Leonard Furr Junr. received a 100 acre Land Grant located on both sides of Flag Creek adjoining Jacob Furr. Leonard Furr Senr. and Jacob Furr are listed as chain carriers. Jacob Furr received a 100 acre Land Grant located East of Flag Creek adjoining John Cox, Leonard Furr, Thomas Graham and Charles Sowell. 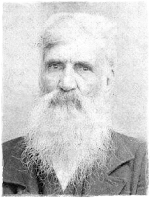 Leonard Furr, Senr. and Leonard Furr, Junr. are listed as chain carriers. Charles Sowell received a 50 acre Land Grant located on Flag Creek adjoining Mary Hines and his own line. Thomas Williams and Leonard Furr Junr. were chain carriers. Leonard Furr Junior received a 25 acre Land Grant located on both sides of Flag Creek adjoining his own line, Ansel Melton and McLeod. Jacob Furr and Daniel McLean were chain carriers. William Williams received a 40 acre Land Grant located on Flag Creek adjoining Leonard Furr, Charles Sowell and George Davis. Barthol. Dunn and Charles Sowell were chain carriers. William Williams deeded George Davis 40 acres located on Flag Creek adjoining Leonard Furr and Charles Sowell. William Dunn and Charles Sowell were witnesses. William Lakey received 14a Land Grant located on Flag Creek adjoining Everet Wallace, Neil McLeod, William Jones and Furr. John Williams and Jacob Stutts were chain carriers. Leonard Furr received a 44 acre Land Grant located on both sides of Flag Creek adjoining his own line, Neil McLeod, Ansel Melton, Laky and William Jones. Ansel Melton and Isaah Melton were chain carriers. Leonard Furr deeded George Davis 50 acres located on Flag Creek adjoining George Davis [formerly Charles Sowell], John Cagle, William Williams [formerly Graham] and his own line. C. Shields and Geo. Hunsucker were witnesses. Leonard Furr received a 30 acre Land Grant located on Cabin Creek adjoining Thomas Brown, Everet Smith, Jesse Brown, and John Cagle. John Cagle and Upshur Furr were chain carriers. Leonard W. Lawhon v. Leonard Furr, guardian of minor heirs of Jason Sowell, dec'd. Estate of Leonard Furr, dec'd. by L. W. Lawhon, Administrator. Notes were listed on the following: William Stuts, Noah Brewer, Daniel McNeill, S.C. Bruce, John McNeill, Hector McNeill, John Smith, Wm. Smith, Joseph Williams, Dempsey Sowell, Quimby Sowell, A.C. Curry, John H. Stuts, Christopher Stuts, Wm. T. Morgan, Evret Smith, Isaiah Brown, Eli Smith, Daniel McNeill, George Hunsucker, John C. Stuts, A.S. Moody, Newsom Bridges, Isam Smith, and John Dunlap. Items were purchased by the following: Upshur Furr, James McKinnon, Daniel Muse, Jacob C. Stutts, Nancy Furr, Dempsey Sowell, Thomas Richardson, Geo. Hunsucker, John Williams, and Josiah Williams. Items sold for the heirs of Jason Sowell were purchased by the following: Robert R. Smith, Isham Smith, and Norman Morison. Ordered that the defendant shall surrender a lease executed by Leonard Furr to McNeill to search for gold on the land of the heirs of Jason Sowell dec'd. DNA Tests 9 DNA tests are associated with Leonard Furr, Jr. The enclosed is a timeline and accounting of early Furr references in Moore County and Cumberland County. Highlighted tracts include Leonard Furr Sr. [YELLOW], and his sons Leonard Furr Jr. [BLUE], and Jacob Furr [PURPLE]. The [+] symbol indicates the location of Leonard Furr Jr.'s tombstone in the Sowell Family Cemetery. 1803 Land Grant #1848, Moore County, NC - Leonard Furr Jr.
1811 Land Grant #2128, Moore County, NC - Leonard Furr Jr. Partial list. Potential list of insolvents. Located in the McKeithan Papers at the Moore County Historical Association. Courtesy of James V. Comer.